Pelicoin offers simple, reliable, and secure cryptocurrency transactions through specially designed ATMs across the Gulf South region. Customers are able to purchase Bitcoin (BTC), Litecoin (LTC), and Ethereum (ETH) on every Pelicoin ATM. This Baton Rouge Bitcoin ATM is located in the Benny's B-Quik convenience store across from the Acadian Perkins Plaza Shopping Center on Perkins Road, and it's just 3 miles away from the LSU Baton Rouge campus. Bitcoin, Litecoin, and Ethereum are some of the most popular and widely used cryptocurrencies in the world. The value of these currencies has dramatically increased since their creation as early adopters brought cryptocurrency into the mainstream. 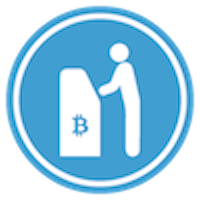 Buying digital currency has never been easier thanks to Pelicoin's extensive collection of cryptocurrency ATMs. Pelicoin provides a safe and simple solution for first-time and experienced investors who buy Litecoin, Ethereum, or Bitcoin in Louisiana. Though the price of cryptocurrency may be volatile, you do not want to miss out on the massive financial gains made possible in this market.